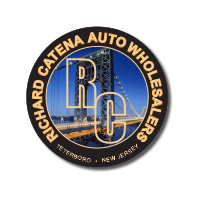 Why Choose Richard Catena Auto Wholesalers Over Other Used Dealerships? What do the Lexus Reviews Say About This Brand? Test Drive a Pre-Owned Luxury Vehicle at Richard Catena Auto Wholesalers Today! Find the Used BMW Model That’s Right For You at Richard Catena Auto Wholesalers Today! Looking to Buy a Used Mercedes-Benz Model? Find it Here Within Our Massive Selection at Richard Catena Auto Wholesalers! Why Buy a Used Vehicle Here at Richard Catena Auto Wholesalers? The Benefits of Buying a Used Mercedes-Benz?